Excerpt From My Book: Hit The Mats- Control Your Atrial Fibrillation with Yoga! Yoga is wonderful. 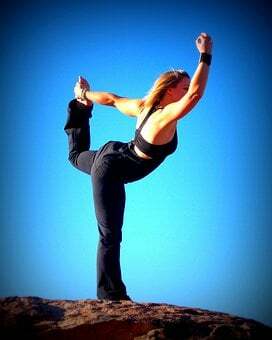 It can help reduce anxiety, improve balance and increase flexibility in people who engage in yoga regularly. However, not all yoga methods are appropriate for those of us suffering from Atrial Fibrillation. For example, Bikram yoga (also known as hot yoga) is performed in a very hot and humid room for 60-90 minutes. This style of yoga is definitely not recommended for AFib patients, and even people who are interested in beginning a yoga routine should exercise caution when starting out a Bikram yoga practice. However, styles like Iyengar or hatha styles are great starting places for those of us with AFib. These styles focus more on balance and proper body alignment. Breath control is also a large part of these styles, which can help in reducing stress, heart rate and blood pressure. 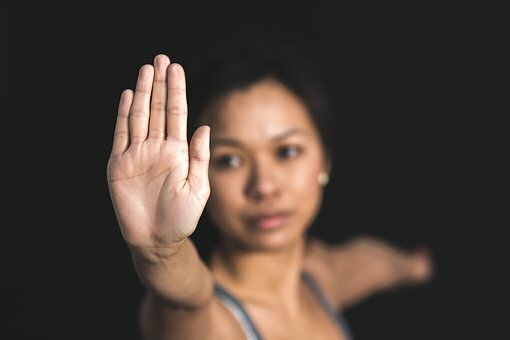 Some yoga practitioners are strong advocates for the correlation between improved mental health and regular yoga practice. 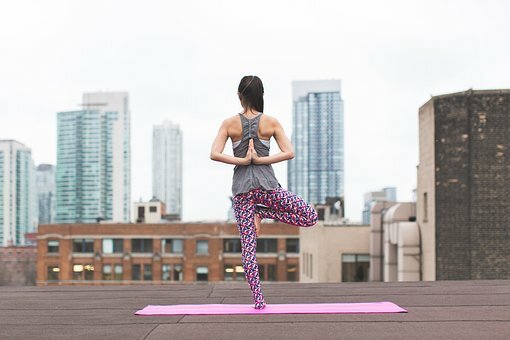 These individuals feel that the strong mind body connection that exists during a yoga session can help people feel more confident and in control of their own body and what they are feeling. While more scientific research needs to be done to quantify this, the thought is exciting for those individuals who live with mental health concerns. An exciting study was released in March of 2016 by the European Journal of Cardiovascular Nursing which might shed some more light on the quality of life connection between gentle yoga practice and AFib. The study combined traditional medications and treatments with yoga practice for participants who suffer from paroxysmal atrial fibrillation. This research invited eighty individuals to be split into two groups for a twelve week program. Group one received yoga lessons as a part of their normal medication or other medical treatments, while the other group did not. Questionnaires were given to the participants before, during and after the study to monitor quality of life questions, measure blood pressure, heart rate and such. As you can imagine the group who participated in yoga sessions, in addition to their medication or traditional treatments, were found to have lower overall heart rates, lower blood pressure readings, and scored higher on their perceived quality of life questionnaires than the group who did not participate in the yoga classes. “It could be that the deep breathing balances the parasympathetic and sympathetic nervous system, leading to less variation in heart rate. The breathing and movement may have beneficial effects on blood pressure”, researcher Wahlström stated in the report (European Journal of Cardiovascular Nursing, 2016). Deep breathing exercises, called pranayama, found in yoga classes can be used both in and out of your classes to reduce your heart rate and calm down after an AFib episode. The most simple type of deep breathing is to slowly inhale for a count of 4-6 seconds, then exhale for 4-6 seconds. I try to perform this type of breathing for 2-10 minutes several times throughout the day to lower my heart rate and blood pressure. Plus, this breathing technique is perfect if you are on a difficult phone call or in a stressful meeting. Ocean Breath, also known as Ujjayi, is another fantastic breathing exercise from yoga practices. Though, I wouldn’t recommend this one while you are in a meeting or on the phone! Breath in deeply through your nose, then exhale loudly through your mouth- you should sound like the ocean tides as you perform this breathing technique. Repeat this until you feel more relaxed and calm. Another method is alternate nostril breathing, called nadi shodhanaor. This one requires a few steps, but is worth it to help relax your body and calm a rapid heart rate. Place your right thumb over your right nostril and press your thumb against your nose so you are only breathing through your left nostril. Inhale slowly and exhale slowly through the open left nostril. Now switch sides and repeat. This breathing technique can be performed for as long as you need to, and as often as you like. Feel free to ask your doctor or yoga instructor for specific yoga poses for you and your level of AFib, but the pose called Cat-Cow is a great starting place to use as a warm up or when you first get up in the morning. To perform a Cat-Cow, get on all fours and your hands directly under your shoulders and your knees under your hips. As you inhale lift your head to look at the ceiling and curve your back downwards towards the floor. On the exhale drop your head to look at the ground and arch your back like a scared cat. Really try to pull the belly button up towards your spine as you do this. Then repeat. It’s really that easy! I like to do this slowly for 7-10 times on mornings when I’m feeling extra stiff or if my back is bothering me. As always, take it slow and ease yourself into a yoga program just like you would with any new physical activity. Know your body’s limits and stay within a safe range until you know what you are capable of and comfortable doing. Previous Post Air Bike Your Way to a Flat Stomach! Next Post Supercharge Your Diet with Brussel Sprouts!